The Office of Alumni is committed to providing the highest level of integrity in dealing with all those who interact with us. We collect, store, use and disclose information about graduates of Sydney Institute of Interpreting and Translating and its preceding institutions in accordance with the Privacy and Personal Information Protection Act 1998 (NSW). There are some additional matters specific to how the Office of Alumni manages your personal information which are not covered by SIIT’s policies, which is set out below. To remain in touch, the Office of Advancement and Alumni collects personally identifiable information when you update your contact details, notify us of a change of address, register for an event, subscribe to a service, or register for a graduate chapter, building on central college records from your time as a student. The information that the Office of Alumni holds is stored in a secure database operated by the college, remains confidential at all times and will be stored and destroyed securely. and other opportunities that may be relevant and of interest to you. 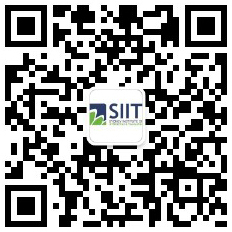 SIIT relies on the accuracy of the information provided by you and is not responsible or liable for any errors arising out of inaccurate information provided by you. Your information may be disclosed to a third party to enable the Office of Alumni to continue to provide you with opportunities to remain associated with the college. If you do not want your details disclosed in this way, please contact us. You are entitled to access and correct any information we hold about you by updating your alumni profile either by completing our web-based form available here or contacting the Office of Alumni.